The Gospel Music Association (GMA) announced more talent for the 48th Annual GMA Dove Awards. 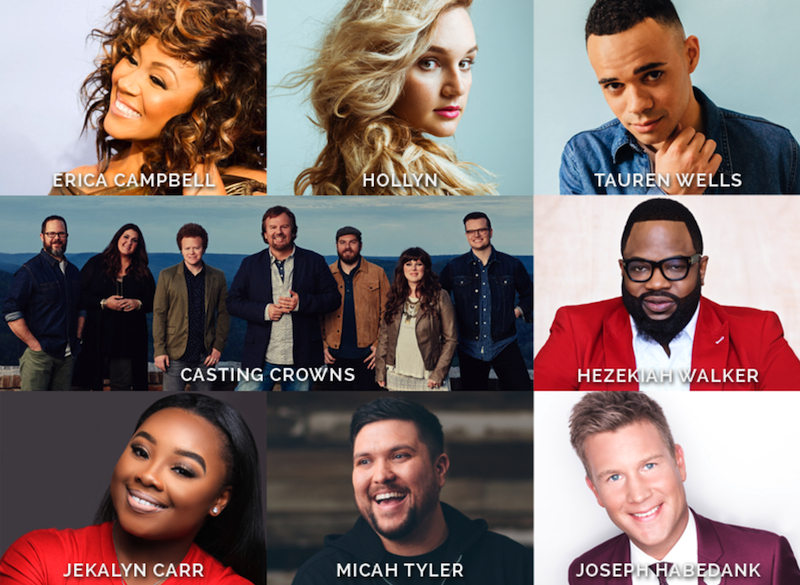 Casting Crowns, Erica Campbell, Hezekiah Walker, Hollyn, Jekalyn Carr, Joseph Habedank, Micah Tyler and Tauren Wells are set to perform during the awards show. Hollyn and Tauren Wells will host the Pre-Telecast. PRAZOR and SoundExchange were added as partners for the awards show set for October 17 at Lipscomb University’s Allen Arena in Nashville. Trinity Broadcasting Network (TBN) will exclusively air the awards show on October 22 at 8 p.m. CST. Limited tickets are available. The GMA Dove Awards celebrate the contributions of artists from every style of Christian/Gospel music. Top nominated artists include Zach Williams, Lauren Daigle, Chris Tomlin, Kirk Franklin and NEEDTOBREATHE. This entry was posted in Christian Contemporary, Gospel, Reviews and tagged Dove Awards, performers, The Gospel Music Association (GMA) by Kris Patrick. Bookmark the permalink.